Eel grass at the Lower Yaquina Preserve. Eelgrass (Zostera marina) is a submerged flowering plant species that exists all over the world in coastal areas. It can only exist in low wave conditions, where it forms extensive beds which can provide crucial habitat to a diverse range of commercially important and sensitive marine species. Eelgrass has been a focus of scientific and public attention since the 1930’s, when wasting disease decimated western and eastern coastal populations, resulting in large die offs of eelgrass in the Atlantic and the Pacific. 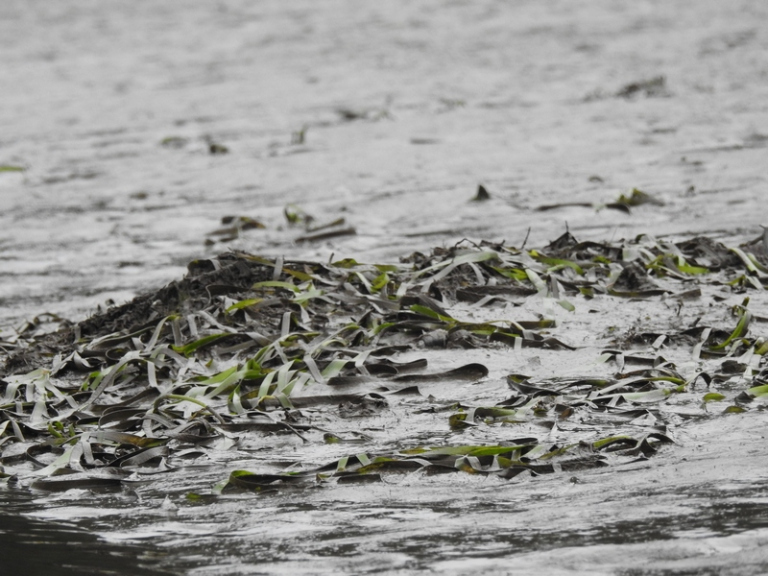 This loss had devastating impacts on scallop (Argopecten irradians) fisheries and Black Brant (Branta bernicla nigricans) populations, highlighting the importance of eelgrass as an indicator of the health of coastal ecosystems to the public and scientific community. This new-found awareness of the importance of eelgrass habitat helped pass local, state and federal regulations to protect, conserve, and restore what eelgrass remained. To this day, eelgrass is still at the forefront of coastal wetland research, conservation and management. The focus now is not only the species’ ability to be habitat for a variety of animals important to fisheries and ecosystems, but also for its potential to help tackle some of the world’s most pressing ecological problems; ocean acidification, CO2 in the atmosphere, and sea level rise. 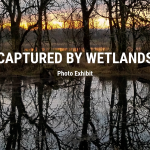 In June 2018, I began working with The Wetlands Conservancy to investigate the presence and possibility of introduction of eelgrass in the TWC managed property: The Lower Yaquina Estuary Preserve near Newport, Oregon. TWC had two important goals for this preserve: increase native salmon (Oncorhynchus spp) and Olympia oyster (Ostrea lurida) populations. My job was to investigate in scholarly articles if the presence of eelgrass was beneficial to these species and then travel to the preserve to document how much, if any, eelgrass existed there. After sifting through 37 articles, I determined that the consensus was that eelgrass has a huge potential to benefit juvenile salmon. I also found out that the benefits of eelgrass for Olympia oysters were questionable, even to the point that some researchers suggested that eelgrass beds greatly increased vulnerability to predators, such as crabs. Knowing these distinctions can be extraordinarily important when making management decisions. 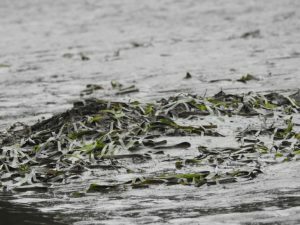 After recording all the locations of the plant species in TWC’s Lower Yaquina Preserve and comparing this data with maps made with aerial photographs taken in 2007 and 1978, there appeared to be a large decrease in eelgrass beds. Decreases in eelgrass can not only have impacts on the preserve’s ability to maintain healthy salmon, crab and bird populations, but eelgrass also has the potential to take CO2 out of the atmosphere and trap it in aquatic soils, which could help slow climate change by offsetting CO2 emissions. The next step for this project would be to investigate the likelihood of being able to restore the eelgrass beds, which would require testing aquatic soil content and annual temperature changes to see if that might be the cause of the eelgrass decrease. This project would not have been possible without the local community support. 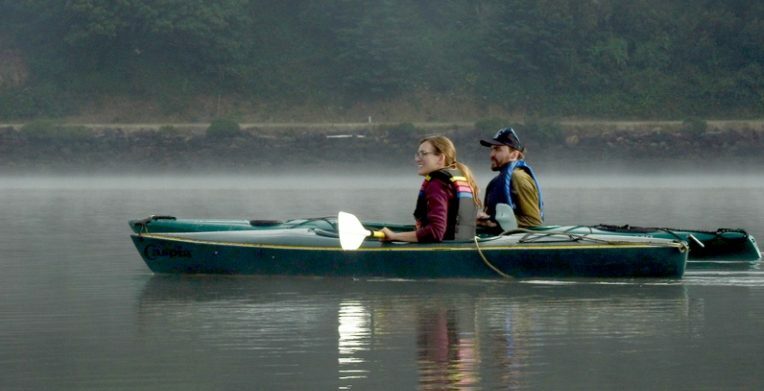 Wallace Kauffman, a local landowner near the Yaquina estuary, equipped me with a much-needed kayak and had invaluable knowledge of eelgrass locations around the estuary. Jen Hayduk and Fred Small, scientists and experts on estuaries and eelgrass, were extremely helpful in giving me context to the data I was collecting. Before talking with them, I had no idea what eelgrass really even looked like, much less what a healthy eelgrass bed should consist of. I am also thankful to TWC in giving me an opportunity to investigate this important coastal species and I hope the information I collected will be helpful for making management decisions in the Lower Yaquina Estuary Preserve. Duarte CM and Krause-Jensen D (2017) Export from Seagrass Meadows Contributes to Marine Carbon Sequestration. Front. Mar. Sci. 4:13. Thom, R.M., K.E. Buenau, C. Judd, and V.I. Cullinan. (2011) Eelgrass (Zostera marina L .) Stressors in Puget Sound, June.